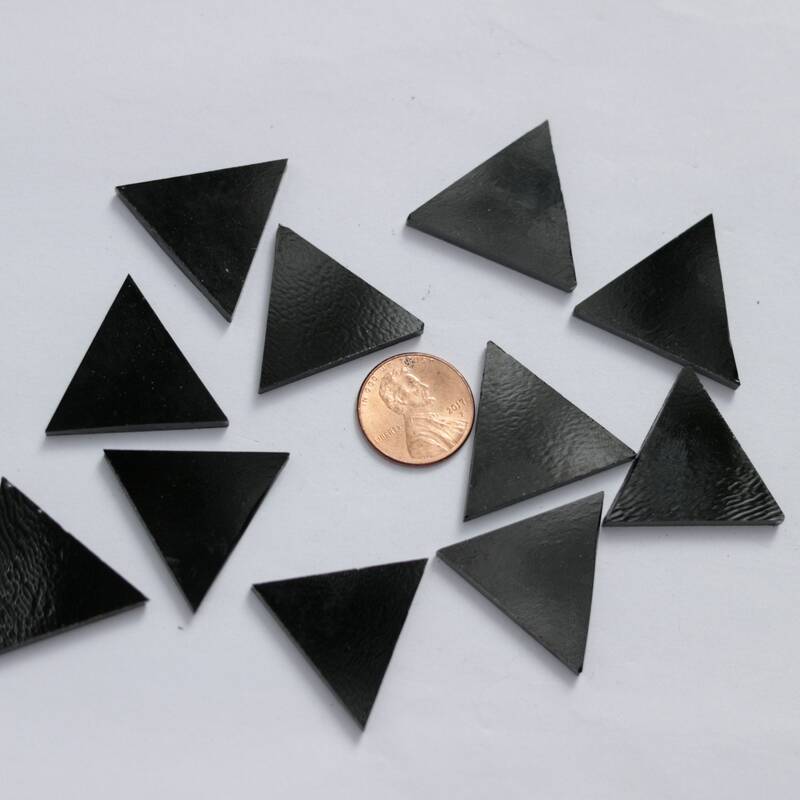 25 Black Opal Triangles that measure 1 1/8" on each side and are 1" Tall. 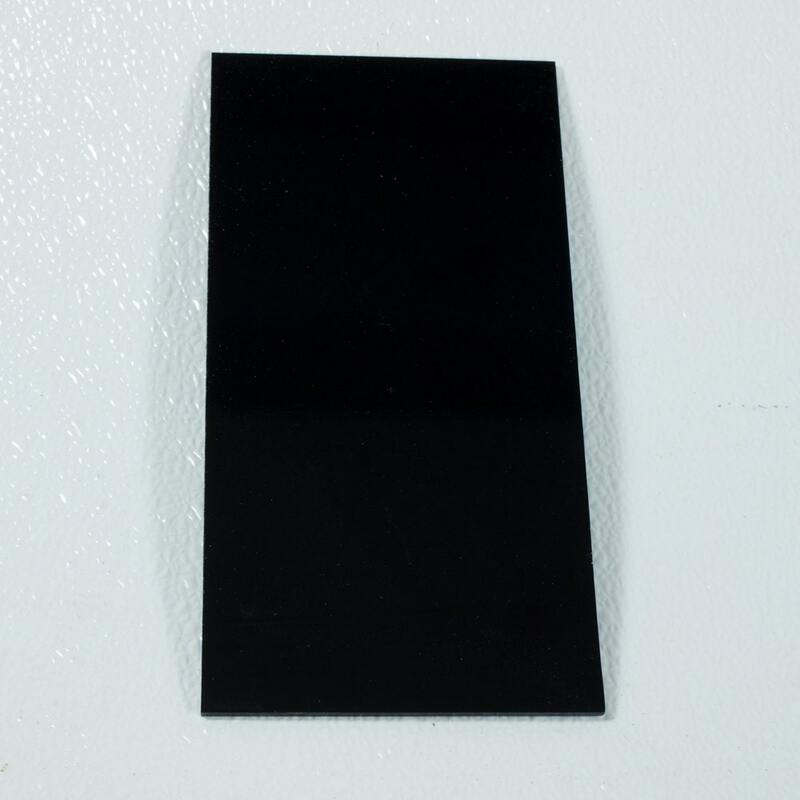 Black Opal, Spectrum 1009 is black as onyx, completely smooth and highly reflective. Black Opal is opaque which makes it perfect for mosaic projects, game boards, garden art, the possibilities are endless!